Nearly 20 percent of China is desert, and it’s expanding — by one estimate to 21,000 square miles more desert than in 1975, about the size of Croatia. The Tengger Desert is merging with two other deserts to form a vast sea of sand that could become uninhabitable. IN THE TENGGER DESERT, China — The Tengger Desert lies on the southern edge of the massive Gobi Desert, not far from major cities like Beijing. The Tengger is growing. 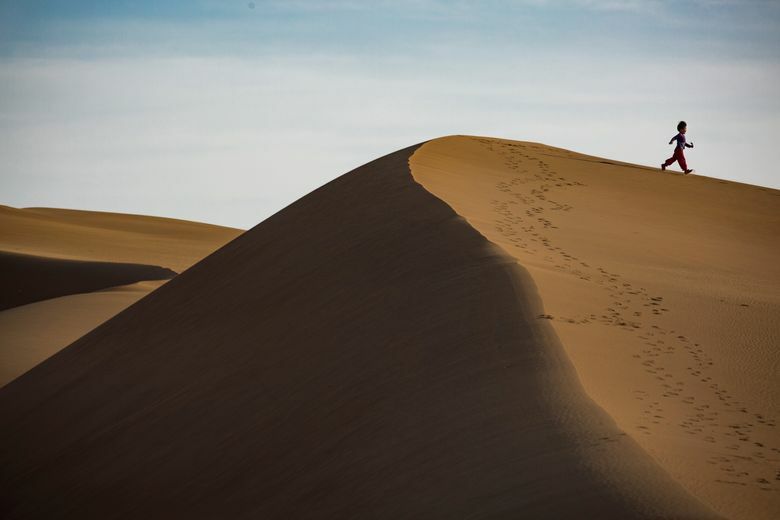 For years, China’s deserts spread at an annual rate of more than 1,350 square miles. Many villages have been lost. Climate change and human activities have accelerated the desertification. China says government efforts to relocate residents, plant trees and limit herding have slowed or reversed desert growth in some areas. But the usefulness of those policies is debated by scientists, and deserts are expanding in critical regions. Nearly 20 percent of China is desert, and drought across northern China is getting worse. One recent estimate said China had 21,000 square miles more desert than what existed in 1975 — about the size of Croatia. As the Tengger expands, it is merging with two other deserts to form a vast sea of sand that could become uninhabitable. Across northern China, generations of families have made a living herding animals on the edge of the desert. Officials say that along with climate change, overgrazing is contributing to the desert’s growth. But some experiments suggest moderate grazing may actually mitigate the effects of climate change on grasslands, and China’s herder- relocation policies could be undermining that. Officials have given Liu Jiali, 4, and her family a home in a village about 6 miles from Swan Lake, the oasis where they run a tourist park. To get them to move and sell off their herd of more than 70 sheep, 30 cows and eight camels, the officials have offered an annual subsidy equivalent to $1,500 for each of her parents and $1,200 for a grandmother who lives with them. Jiali’s mother, Du Jinping, 45, said the family would live in the new village in the winter but return to Swan Lake in the summer. Guo took saplings the government had left behind after it completed a tree- planting operation. He said he was not ready to join the climate refugees. He has his corn and wheat fields, plus income from running the tourist park. Huang planted more than 200 trees on her own last spring, in the hope that they would help block sandstorms and hold back the sand. Huang and her husband have sent their 14-year-old daughter to a boarding school in a nearby city. About 17 percent of the population in Alxa League are ethnic Mongolians, whose lives and livelihoods have long been tied to the herding the government is trying to halt. Mengkebuyin, 42, and his wife, Mandula, 41, grow corn and sunflowers, but their 200 sheep provide most of their income: They sell the meat to a hotel restaurant in a nearby city. The sheep graze in the desert, where grass is growing scarce. They roam near his old family home, near the shores of a lake that dried up years ago. He would like to move to better pasture, but the government will not let him. Mengkebuyin and his wife maintain the old home but do not stay for long periods. They have moved to a village 5 miles away. Mengkebuyin and Mandula have decided that they want their 16-year-old daughter to live and work in a city. Four generations of Mengkebuyin’s family lived by the lake in a thriving community. But gradually, everyone left. The desert has taken over.